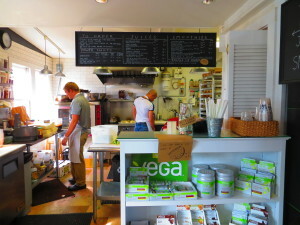 In Provincetown, most of the restaurants feature vegetarian dishes; however here are some here are some of the very veggie-friendly restaurants. One of the most charming organic markets that I frequent quite often, 141 also offers delicious fresh vegetable juices, prepared salads and sandwiches, and even unusual but scrumptious raw foods snacks! Napi’s is quite simply a reliable institution. Every Ptown lover always goes once every trip to Provincetown. It is a mix of artsy eclectic and Cape traditional.